Sydneysiders will know this is where Azuma Patisserie used to be but the Azuma restaurants have now been replaced with Chanoma Cafe, Tenkomori Ramen House and the much talked about- Yebisu Izakaya (a post for later). An unplanned visit to the Apple Store on an eeky Tuesday night made it perfect for a fast and not so fussed dinner. What’s better than to have a Japadog (Japanese fusion hot dogs) and a frappe to cure that Tuesdayitis and get you ready for Humpday. 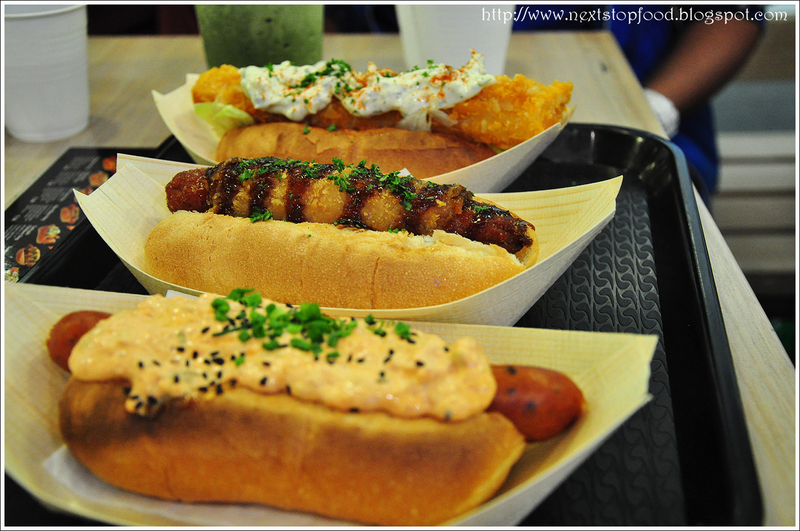 Japadogs are given the choice of 3 options: Slovenia kransky, German blutwurst or Spanish chorizo. 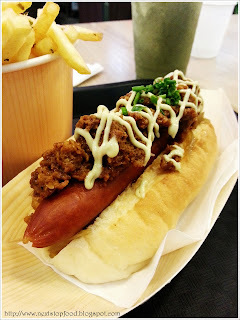 First up is the spicy meat lovers dog (kransky) $5.50 along with miso pork mince, white beans and mayonnaise in a soft, fluffy bun. I was sold at the creamy shrimp croquette dog $6.20. The freshly made croquette was crunchy on the outside and inside was filled with soft diced shrimp. The sauce on top was tartare-like with a hint of egg, the mystery of this sauce kept me wanting more. There has been mixed reviews on their drinks- either you get a great one or a not-so-great that you won’t come back (yep, that’s how badly you can miss). Luckily, a visit on the weekend brought me the knowledge that their banana and oreo matcha frappe $6.50 is amazing!!! Unfortunately, their yozu matcha drink was not. 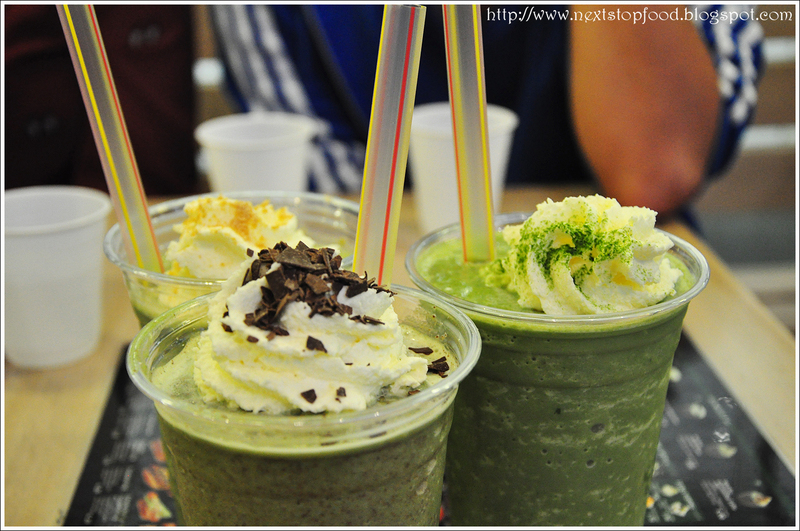 For our 2nd and 3rd visit, we ordered the azuki, chocolate and oreo matcha frappes (again and not shameful at all teehee). Here is a tip: make sure you mix that whipped cream well into your frappe. 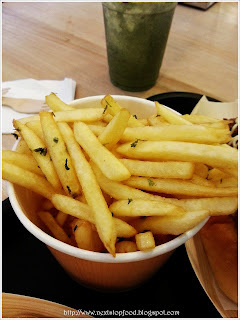 Shaked fries are available with seasoning choices: salt & pepper ($3.90)/wasabi/teriyaki/soy butter & dried seaweed flakes/chilli & garlic ($4.40). Waitress recommended the popular soy butter but we were disappointed as it lacked the rich soy butter flavour which we had anticipated. Instead, we got some pretty salty and addictive fries. To complete the night, we ordered the matcha soft serve $2.90. The soft serve was more icy than creamy but it did have a pretty strong hit of green tea! 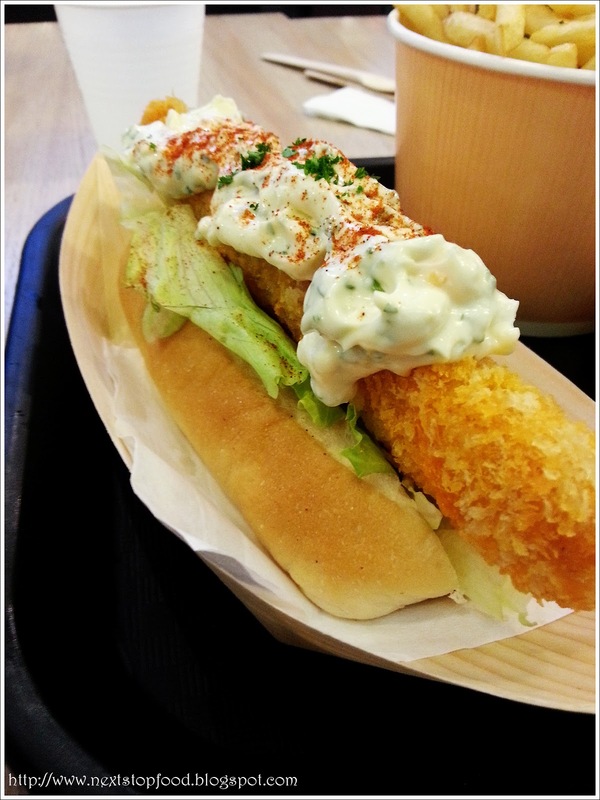 UPDATE: The kim-mayo dog $5.50 is a must try for kimchi lovers but tonkatsu japadog can probably give it a miss. ive only been here for the drinks, looking forward to trying out the japadogs and ofcourse yebisu soon! your friend must have selected good drinks then! and yep give them a go, hope you'll like them! I agree - the hot dogs at chanoma can be a bit hit and miss. But interesting concepts though!